Billon tetradrachm, 19mm, 7.43gm, issued AD 287/288. Obv: A K M A OVA MAΞIMIANOC CEB, Laureate draped bust right. 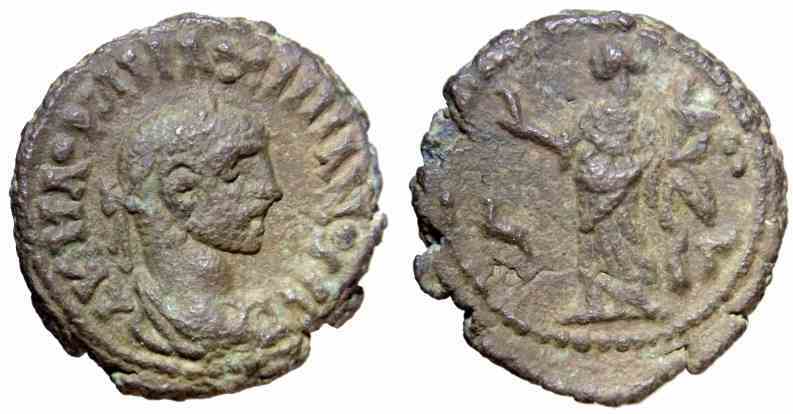 Rev: L Γ, Homonoia (Concordia) hand raised, holding cornucopiae. Γ = regnal year 3 = 287/288.